Back in July, as I was no doubt scrolling through Twitter, news broke of the commencement of the opt our period for My Health Record. I did feel a little standoffish upon learning that I would have a My Health Record automatically created for me in November without my permission. Naturally, I was leaning toward opting out of it. I guess a My Health Record is like a digital version of the charts that my doctor and Diabetes Clinic keep on me. The idea of the digital My Health Record is that this information would be accessible to other healthcare professionals or places of care that I may choose to visit now or in future. I hear that I would still have access to this information, and control who I choose to share it with. I guess, in theory, it’s not a bad idea. Every new healthcare professional that I see would have all of my information available to review prior to a pending appointment. This would mean that they would be better prepared upon my arrival, and we would be able to make better use of the very limited time that we have together. I wouldn’t need to complete forms while I am seated in the waiting room, asking the same questions over and over again. I wouldn’t need to explain that I have type 1 diabetes, or have to endure the looks of confusion on my healthcare professional’s face, as though I’ve just complicated our whole appointment by flagging my health condition. I wouldn’t have to respond to thoughtless questions about how ‘controlled’ my diabetes is, because my healthcare professional would be able to see a summary of my ‘compliance’ by attending diabetes checkups. Nor would I need to reframe my healthcare professional’s view that diabetes is something I continuously ‘manage’ rather than something that I am able to permanently ‘control’ (or not control!). There would be far less errors in care or courses of treatment given, thanks to all of this additional information available prior. The quality of the care I receive would be richer, and I would walk away feeling that my time in the company of a healthcare professional was productive. In theory, it’s a nice idea. I only wish that I believed it. I expect that many healthcare professionals, particularly those in public care, would be far too busy and ‘stretched thin’ to thoroughly review any additional information they have on me via a My Health Record, particularly that pertaining to my type 1 diabetes. I expect that there would still be errors in the courses of treatment given, particularly among those who aren’t able to advocate for themselves. I’ve seen a few loved ones now sent home from hospital well before they should in order to clear a hospital bed, watched them suffer at home for a few days, only to wind up back there a couple of days later. People who don’t have the luxury of being well connected, or able to pay for private healthcare services are often pushed onto long waiting lists or left to fend for themselves. Earlier this year, I only just received a referral to dermatology that my endocrinologist gave me four years ago (safe to say I had completely forgotten about that one!). People newly diagnosed with diabetes often tell me that they were told to exercise and lose weight by their doctor, but aren’t being linked in with the allied healthcare professionals who can actually explain to them what that means. Sorry to sound skeptical, but I don’t believe that a My Health Record will enrich the quality of care that I will receive. But maybe you do. That’s great! Regardless of where you stand, it’s important that you do your homework and make a decision as to whether you would like a My Health Record automatically created for you. The official website is here, and you’ll need to opt out before November 15 if you feel it’s not for you. I will also leave this video here. My friend Emily, who lives with type 1 diabetes, was featured in this video endorsing My Health Record. Imagine one massive room, that you could wander around at your leisure. A room that had all of the latest and greatest diabetes tools and technologies on show. A place big enough that you were free to go and chat with any of the exhibitors that you wish to approach, without having sales reps from competing companies clamouring all over you. An opportunity for you to actually hold a blood glucose meter in your hand, have a play with an insulin pump, and ask all of the questions that have been sitting on your mind for the last few months. There might even be a few coffee bars with complimentary chocolates on the counter to help get you through such a massive day. Ideally, there might even be a few freebies such as a new blood glucose meter, a mug or a sample of glucose tablets to take home. But above all, you have the opportunity to really learn and get excited about all of the options available on the market to support you in the self management of your diabetes. This is actually a reality for healthcare professionals, researchers and people working in the diabetes industry. 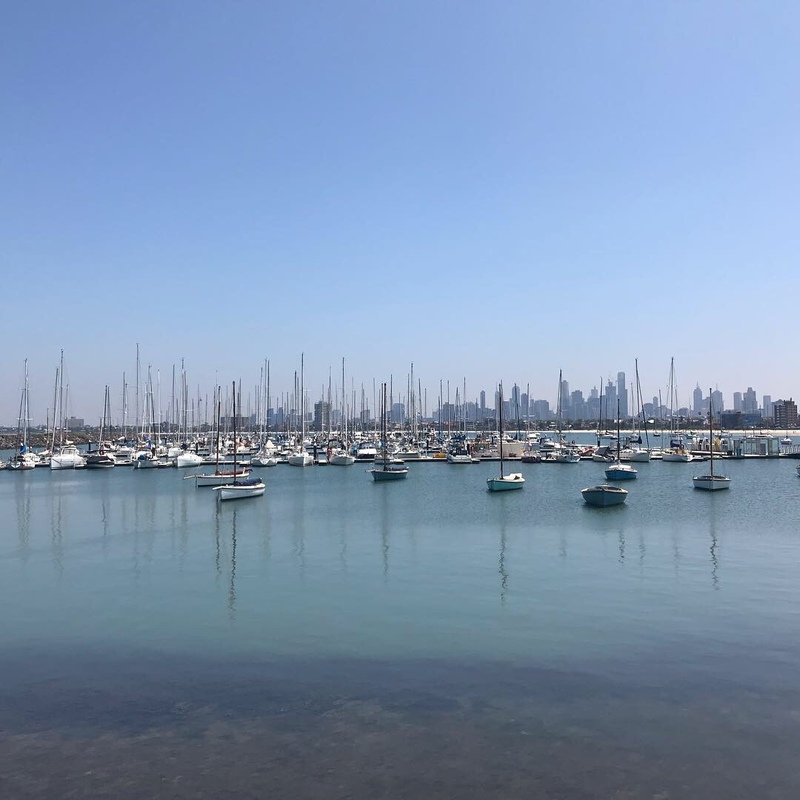 I’ve been lucky enough to experience what I can only describe as Christmas Day for a person with diabetes through my attendance at the Australasian Diabetes Congress over the past two years. Several weeks ago over a coffee with one of the players in the diabetes space, I was asked what I would like to see more of from their brand. My answer was simple. More direct to consumer initiatives like the ones that I’ve been lucky enough to be involved in as a diabetes blogger. One good example of such initiative is Abbott’s FreeStyle Libre group set up sessions. To my knowledge, people with diabetes are invited to attend a group session with both a diabetes educator and an Abbott representative. They are provided with a complimentary FreeStyle Libre reader and sensor, and learn how to use the product during the session (depending on the place of setup, CDEs may charge for the session). Both Diabetes Victoria and Diabetes NSW have held large diabetes expos in the past. While I don’t know a lot about the nature of these events, I believe that these are weekend events held in Convention Centres with a combination of exhibitors and information sessions. Another personal highlight for me was the technology night designed by my fellow Young Adult Diabetes Committee members in Perth last year. The evening brought together representatives from Abbott FreeStyle, Roche, Cellnovo, AMSL and Medtronic Diabetes. There were also a selection of the Committee’s favourite diabetes accessories on sale. Most importantly, the evening was designed by people with diabetes, for people with diabetes. There were Committee members speaking about their own personal experiences with such technology, as well as healthcare professionals explaining how the technology works. Seeing people in attendance who were only hearing about such technologies for the first time really highlighted the importance of holding events like these. I get that there are regulations around the direct ‘marketing’ of pharmaceuticals to consumers. I have been told that the pharmaceutical players in this space are free to support any events that are initiated by third parties, but there are restrictions on events initiated in house. In fairness, I don’t want to see events where diabetes sales representatives are smothering innocent consumers who may be unable to see through the heavy spin. However, the reality is that not enough consumers know about all of the available options on the market to manage their diabetes. Would it not be in the best interests of pharmaceuticals to be able to reach the actual users of their products in the same way that they can reach healthcare professionals? There was a time before this blog existed where I didn’t really know a lot about diabetes and the options available. 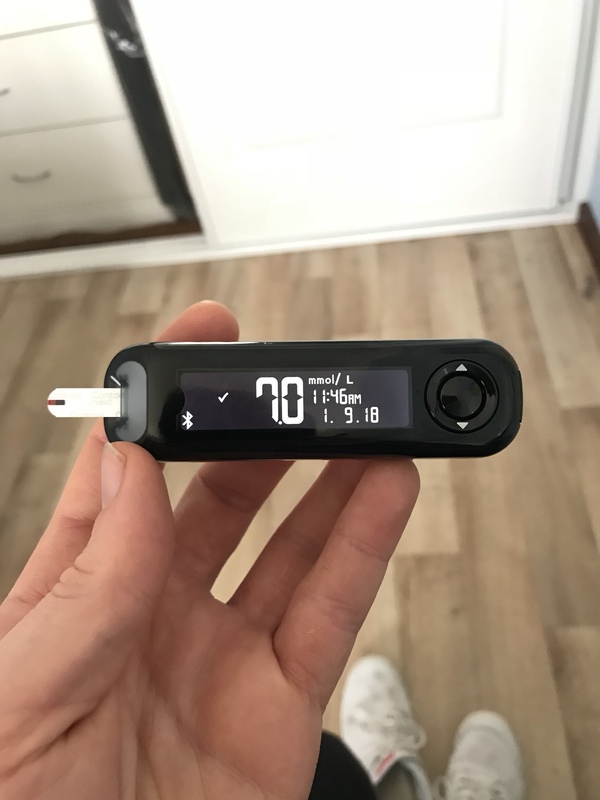 It took me five years until I moved on from the blood glucose meter that I was given on diagnosis, having learned about something more modern and better suited to my needs. There was a time where I never would have dreamed that I would be a candidate for an insulin pump, because I thought they were only for kids or people who were really struggling to manage their diabetes. As I follow Tweets from the European EASD conference happening in Berlin this week, I am reminded of just how lightening fast these advancements in the treatment of diabetes are happening these days. It doesn’t necessarily mean that newer or more ‘tech-ier’ will be better, but people with diabetes have a right to know and make an informed decision that best suits their needs. I try to share as much of what I learn here on my blog, not because I am in the pockets of big pharma, but because getting that information out there is a mission which I truly believe in. I distinctly remember emphasising the importance of healthcare professionals relaying word of these new technologies back to people with diabetes throughout this year’s Congress. Equally, I know that there are many person centred healthcare professionals who will do just that. People with diabetes have a right to know about all of the options out there. We need more opportunities like these. Last week at Twice Diabetes, Melinda wrote about a session at the Congress where she learned about a hospital practice of discharging patients for ‘non adherence’ and not responding to follow up contact. It was a stark contrast to another session I had attended which investigated rates of response to follow up contact, in this case for diabetes screenings in rural communities. This session was absolutely non judgemental, venturing into possible reasons for patients not responding to follow up contact and a genuine desire to find better solutions. I think what’s really sad for me is that in case studies like those presented in Melinda’s session, the voice of the person with diabetes obviously isn’t being heard. I guess I get frustrated because while I know, and have the confidence to be my own advocate, not everyone is able to. This is where we need healthcare professionals who are on our side. People who are willing to put their feet into the shoes of someone with diabetes, think about why they may be ‘non adherent’ and come up with solutions. From where I’m sitting, outcomes like these could be greatly improved through better communication when talking about and with people with diabetes. On the surface, it might appear that we’re just being nit-picky in our choice of words when we harp on about language, but it’s about so much more than that. 1. Create a supportive environment that invites us to share. Listen to us. Don’t judge us. From everything I’ve heard about language and diabetes, there’s one little gem that always sticks out to me. The person with diabetes may be making a decision that is very rational to them. But when we are scolded, cut short or made to feel uncomfortable those reasons are likely to go unheard. We’re more likely to go off and do it without support. 2. Uphold our name. Treat us with the utmost respect, even in our absence. While we might be ‘diabetics’ or subjects of work, we are also people with real feelings and beating hearts. Hold me in the same regard that I have for my own family when you’re talking about us around others. 3. Empathise with me. Much like you, I have a life. A family. A job. Bills to pay. A roof to keep over my head. I’m trying to do all of this while managing an extremely demanding, costly and time consuming chronic condition that I didn’t ask for. 4. Treat me as Frank, and not as Frank’s diabetes. Shake my hand. Greet me by my first name. ask me how I am. How I really am. I don’t want to feel the power trip when walking into my doctor’s office. I want to feel like I am catching up with a colleague or even leaning on the shoulder of a friend. It’s as simple as being a decent human being. I’m not too big to admit that I too am a flawed individual, with much room for improvement. I don’t know what it’s like to be a healthcare professional, a researcher or someone working in the industry. But I have been lucky enough to meet many amazing healthcare professionals who have a real passion for their work and for creating better outcomes for people with diabetes. What makes these people real champions of people with diabetes is that they always hold a high regard for lived experience, and are always willing to learn. That’s all that I really ask for. I am only a person living with diabetes, who wants better outcomes for other people with diabetes who might not be as confident or as privileged as I am to obtain those outcomes. I don’t think that is a lot to ask. 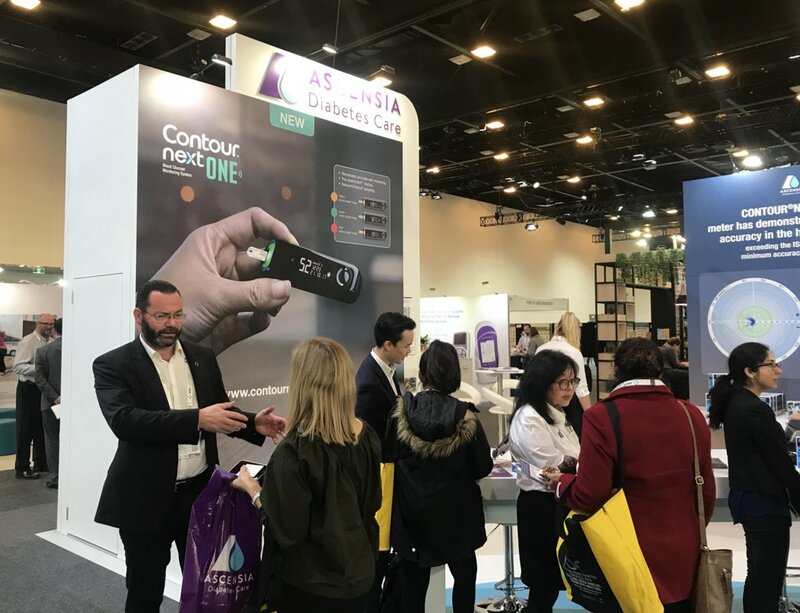 I walked away from the Australasian Diabetes Congress feeling that consumers had an even bigger impact than last year. 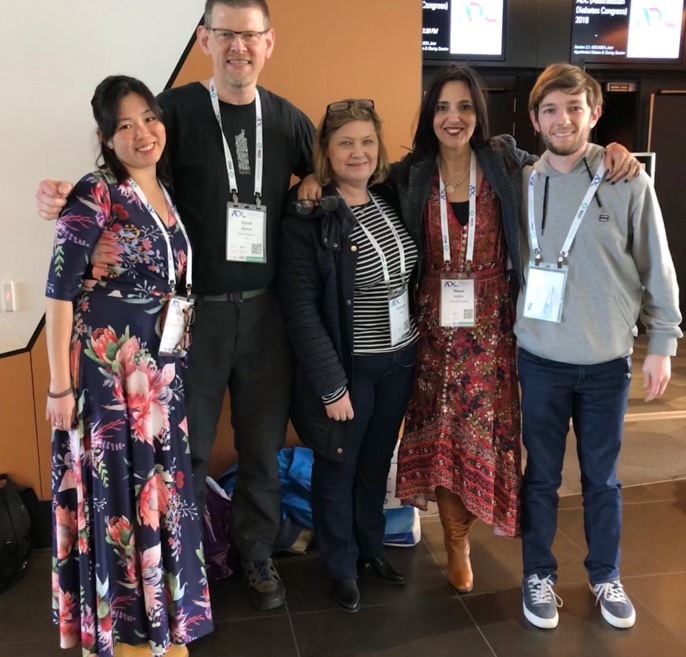 This was my second year attending the joint Annual Scientific Meeting of the Australian Diabetes Society (ADS) and the Australian Diabetes Educators Association (ADEA). 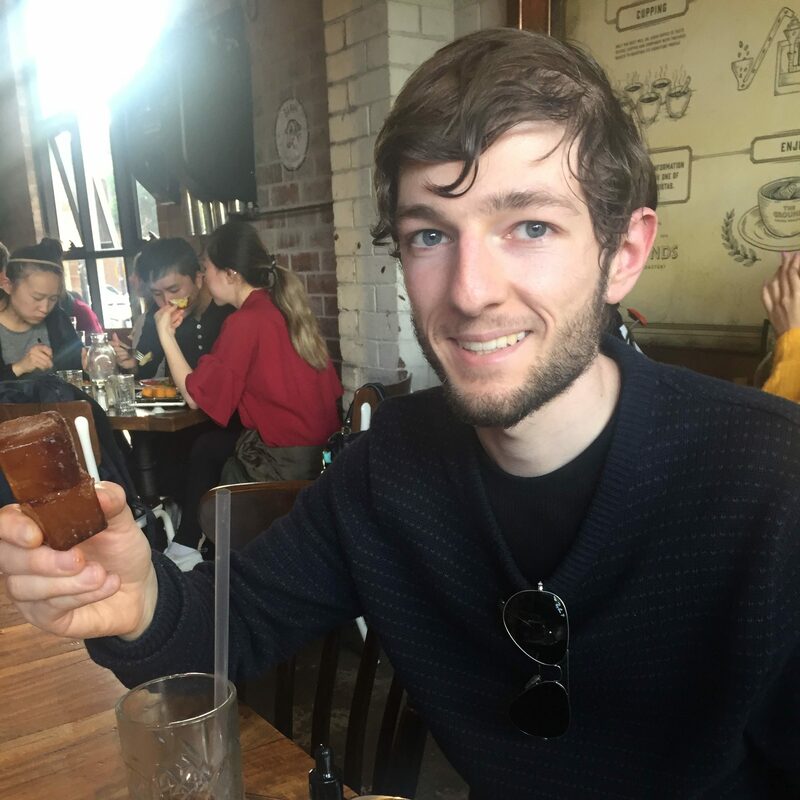 Diabetes Australia pioneered a fantastic initiative called the ‘People’s Voice,’ which brought the voices of a few bloggers and consumer advocates to the Congress. I don’t, for a minute, ever pretend to be representing anyone other than myself at events like these. I fully accept the privilege I have, knowing that I do not even come close to representing all people out there with diabetes. I’m super proud of all of the people with diabetes in attendance who drove this narrative home to the delegates, speakers and pharmaceuticals in attendance. In particular those with gestational diabetes, those with type 2 diabetes and those who are not as engaged as we are. On Wednesday afternoon, I was lucky enough to contribute to a session which presented case studies on ‘co designing’ diabetes services with the involvement of people with diabetes. I spoke about my involvement with Perth Diabetes Care through the Young Adult Diabetes Committee. For more of a taste of what we do, you can find our Facebook page here. Melinda Seed at Twice Diabetes also spoke about her involvement with Reality Check and the resources that she helped to develop for people with diabetes. As I said last year, I was so humbled to be in the presence of so many people that simply wanted to learn from us. The idea of this session was to plant ‘seeds’ in the minds of delegates, and we really did delve deep into some of the issues that were prohibiting the engagement of people with diabetes. 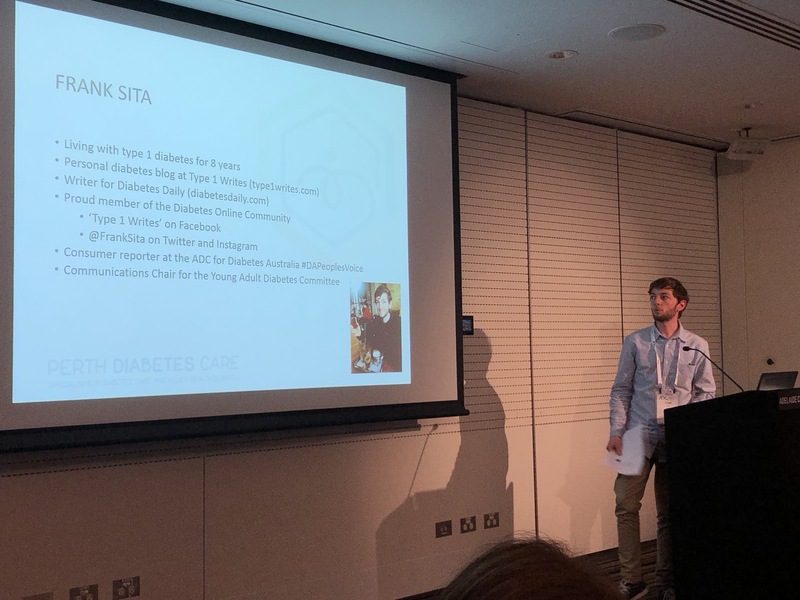 I spoke about how big of a step it was for me to come along to a gathering of people with diabetes for the first time, and also sharing how much of a ‘slow burn’ some of our work in this space can truly be. I have personally found the Diabetes Educators to be the most supportive, open minded and willing to learn from us. They are truly the people who approached me the most during the course of the week, and hopefully they will only bring more healthcare professionals and researchers along for the ride with us. I really do apologise for our narrative that, at times, can come across as assuming that all healthcare professionals are not person centred. We really are just passionate about person centred care! The consumer voice was also championed on Friday morning during a technology symposium. As Professor Anthony Russell presented a narrative about the administration of insulin in a hospital setting, the dialogue that followed on Twitter was more interesting. One of the biggest issues that I have heard from other people with diabetes is the forced relinquishment of self management in a hospital setting. People with diabetes are forced to relinquish their insulin. People have had to fight for the right to hold onto their insulin pumps or CGMs. Highly capable people with diabetes are often treated as incapable of self managing a condition that they spend relentless hours managing on their own. I really hope to see a resource developed around the rights of people with diabetes to self manage in a hospital setting. If there are two organisations that I would like to see tackle this issue, it would have to be the Australian Centre for Behavioural Research in Diabetes (ACBRD) and Diabetes Australia. People with diabetes also slayed the Twitter conversation. In a short two years, it really does make you wonder what they ever did without us? Ashley Ng ran a Twitter masterclass with the support of ADEA, encouraging healthcare professionals to get online. Just look at these amazing stats! I am super proud of everything that the people with diabetes in attendance achieved throughout the week. I truly feel that the consumer voice was championed, and that we have proven our worth. This is EXACTLY why we need to be at events like these. Disclosure: Diabetes Australia covered my registration, travel and accommodation costs to attend the Australasian Diabetes Congress. My opinions and my time, including the annual leave I took from work to attend, are my own.